Omaha, NE - On June 25th, Tina Agerson's pit bull "slipped out" of its collar. The dog curiously approached two young mothers who had been towing a red wagon with each of their toddlers strapped inside. The mothers, Wendy Blevins and Carly Spring, paused in apprehension at the approaching dog. Nothing though could have prepared them for what happened next. Without warning or provocation, the curious pit bull latched onto one baby's head, yanked the child out of the wagon, ripping off one third of her scalp. 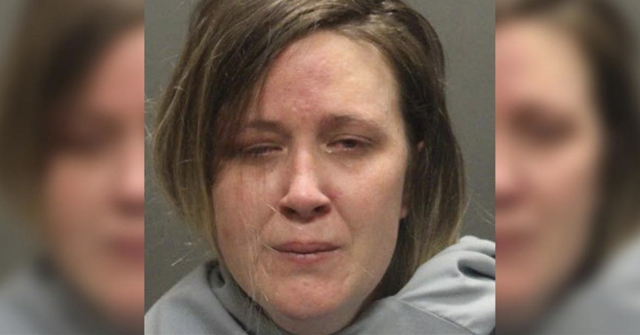 Without the immediate intervention of the baby's mother, Wendy Blevins, little Charlotte would have been killed. In a violent attack, which has been described as occurring in less than 30 seconds, all four victims were bitten. Charlotte suffered devastating injury. A fast thinking witness, Stefan Ray, alerted police to a portion of the missing scalp, who placed it on ice and rushed it to the hospital along with the child. 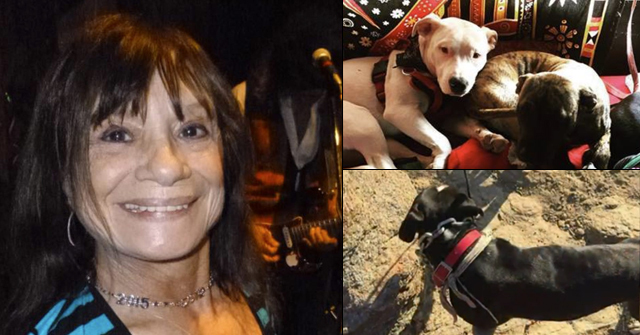 It seems the only person that was left uninjured was the pit bull's owner, Tina Agerson, who reportedly did little throughout the attack. She later blamed Blevin's for "blocking her" as she tried to pull her dog, Duke, off the child. Agerson reports to jail January 5th. 3 months after the attack, Omaha passed a new dangerous dog ordinance. The new law requires pit bulls to be muzzled when off property and for pit bull owners to purchase liability insurance in the amount of $100,000. The ordinance, which also combines anti-tethering and the designation of a "reckless" owner, is being watched by many cities. An early report indicates good results from the ordinance. DogsBite.org has written dozens of stories about this attack, which led the City of Omaha to regulate pit bulls. Feeding that tubber could break the state. Too bad the state can’t strap her to a giant electricity generatering treadmill and start paying off the medical bills. EVERY SINGLE LEGISLATOR that is getting manipulated by the dog fighter and dog breeder & pit bull "rescue" financial lobby needs to be HANDED A COPY of this story. And they need to know that unless they regulate pit bulls, the blood of future attacked children will be on their hands. Where’s the protest march from the “Punish the Deed” crowd? One month after the attack, Wendy Blevins showed a medical bill to the Omaha World newspaper: $113,935.50. This amount goes toward the initial emergency room care and three surgeries that followed the pit bull attack. This does not include the many follow up appointments nor subsequent surgeries and treatments that might have occurred after July 27, 2008. “Where’s the protest march from the “Punish the Deed” crowd? They’re all off taking training classes because people decided to punish the breed. Question, why does Wendy Blevins not have insurance to pay for this? Not that it’s her fault that her daughter was attacked, but if the attack happened to me, insurance would cover it. Why is she apparently uninsured? Wendy Blevins was insured. This is stated in multiple articles about her. In addition to blaming the victim, the anonymous commenter also seems to lack insight into personal health coverage. When you get into a car accident, for instance, you car insurance pays for injuries sustained, not your personal health plan. Not all personal health plans pay for dog bite injuries. The expectation, as outlined in strict liability states, is that the dog owner is liable. Please see related post about this comment. in a game like “Pick the Pitbull” from the picture, you can play “Pick the pitbull owner” easily. Just look for the mean, pinched, angry expression. 275 days is an insult to Charlotte Blevins, her family the city of Omaha and our criminal justice system. Attention Pit Nutters: This is why we want bans! WOW! Be sure to watch the video, there is much more information in it. Tiny Tattooed Tina went out and replaced Duke (the scalper) with another dog and guess what she named it? In almost every list pride (or hubris or “vanity”) is considered the original and most serious of the seven deadly sins, and indeed the ultimate source from which the others arise. It is identified as a desire to be more important or attractive than others, failing to give compliments to others though they may be deserving of them and excessive love of self. I AM SO F*ING TIRED OF THIS “I’M A PROUD PIT BULL OWNER BLAHBLAHBLAHSH*T”! Thank you ernie, you said what we all think, and said it very clearly! In a perfect world, one would get a 275 day sentence just for owning a pit bull. And after an attack? Forget about it! You should never see the person again! Can’t you just see this beast of a woman hanging around the county day room, griping to the other inmates about how unfair this is? The time doesn’t fit the crime and won’t be nearly long enough for her to appreciate her culpability. 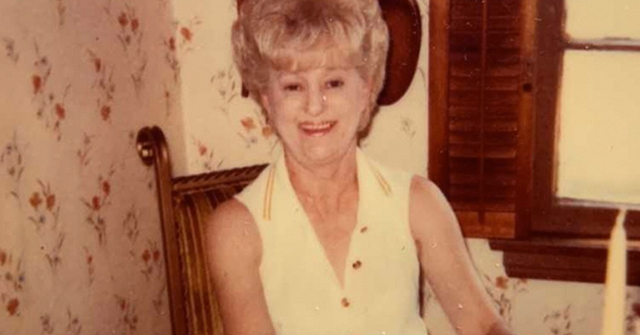 In 1945, Joe Munn served one year in jail after his pack of pit bulls attacked and killed 39-year old Doretta Zinke. Hmmm, progess on holding owners of dangerous dogs accountable? I THINK NOT! Behold the Pit Bull counter-Culture in all it’s shining glory! Breeder free of product liability…Check! What pure and utter baloney from a pit nutter. This is his excuse for why the pit nutters are not upset that Tina was not punished more severely? 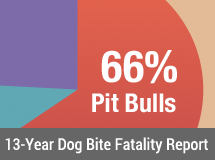 — we all know that pit nutters always claim that the irresponsible owners should be punished instead of the breed. So, when someone asks why the pit nutters aren’t upset about Tina’s lame sentence, this nutter has the nerve to say it is because they are all in training classes with their pits. Give me a large hairy break — I would bet that less than 1% of pit owners have ever bothered to take their wigglebutt to a “class”, besides which these classes, where they are required, are an absolute joke anyway.